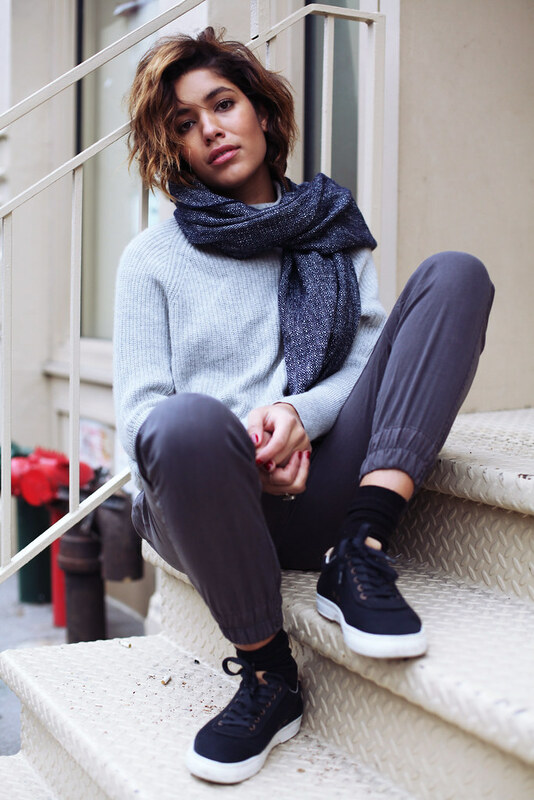 Sweater: Club Monaco, pants: Paige, scarf: Sezane, shoes: SYOU. 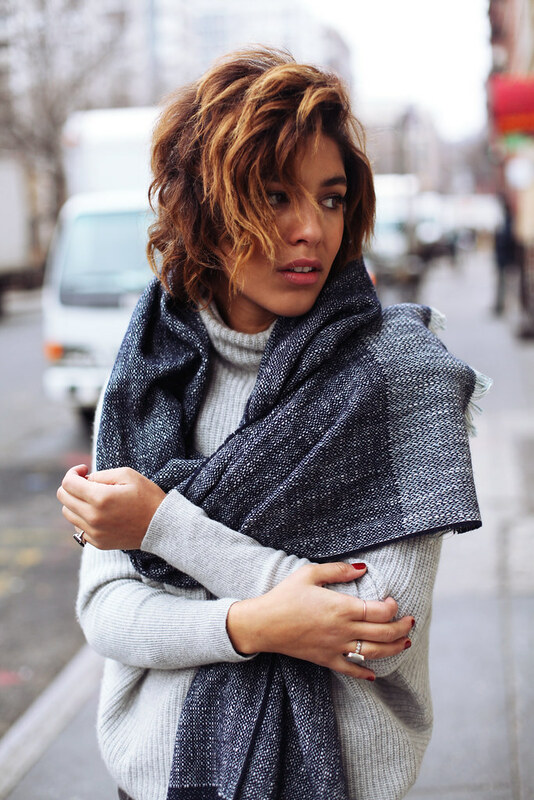 Some warm winter vibz snapped by one of my favorites Lauren Engel in Soho. Every time I look at these photos they give me chills because it was the day after I had found out about my grandfathers passing. That sort of nothing-ness feeling that consumes you and can seem to let you go. I guess that's mainly the reason I've been taking a break from blogging, among other personal reasons, but as you can see and as promised I'm back at it and hoping to redo the site and make it radder! If you any of you have any suggestions please leave me a comment. I'll be checking and going over everyone's suggestions! I am absolutely in love with your style! Always so effortless and yet so chic! Great outfit, like that sweater! Great outfit, love that scarf! Such a difficult time...I can see why these give you chills to look at! 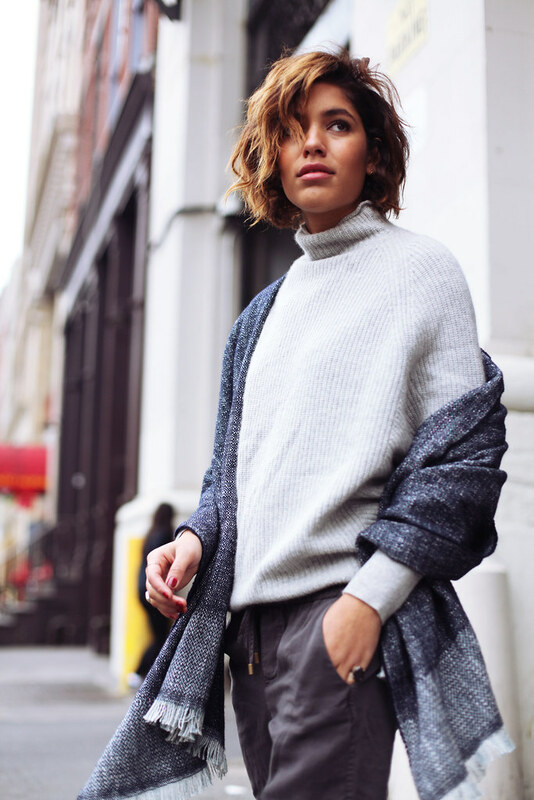 Such a cozy and warm outfit, which is perfect for those winter NYC days! 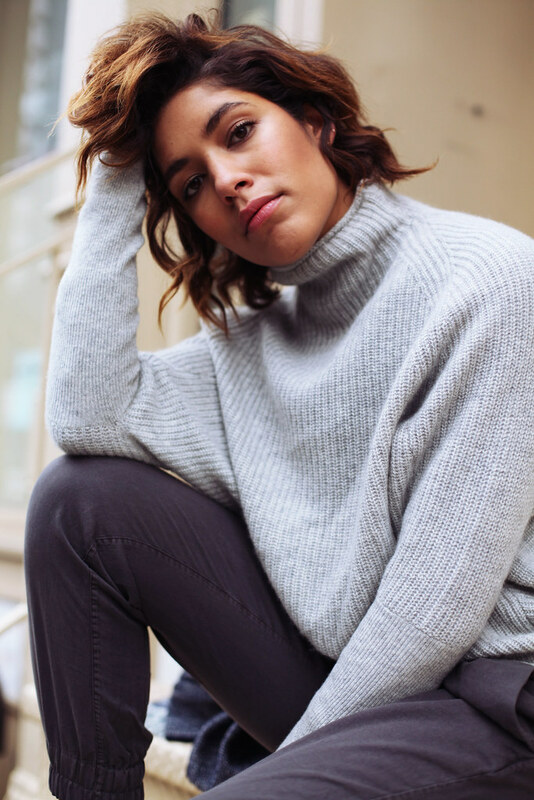 Love this look with different shades of grey! Great post! I really love your looks and those jogger are awesome.!! Your style is so chic and effortless. Love love love your hair! Love your sweater and the scarf! Lovely style! Damn girl you're always amazing! NEW LOOK. ZARA SALES. do you like it? And your lipstick is just perfect! can you please do an updated hair tutorial? pretty please? Love this look! Very comfortable and stylish! I am extremely impressed together with your writing abilities as well as with the format for your weblog. Is that this a paid topic or did you customize it yourself? Either way stay up the nice quality writing, it’s rare to see a nice weblog like this.See more 4 hair bundles Our 4 bundles deal comes with 4 bundles and a variety of choices at a great price. Our hair is 6A grade virgin human hair. Click here to shop now!